A few weeks ago, I participated in the Toronto International Dragon Boat Festival hosted on Toronto’s Centre Island. When I paddle in races I don’t typically allow myself to eat during the day, with the exception of some fruit as I like to feel light on race day. However, its not everyday that I get to race at one of Canada’s largest dragon boat festivals on a team put together as part of a cultural exchange between the City of Markham and the City of Nanhai in China. 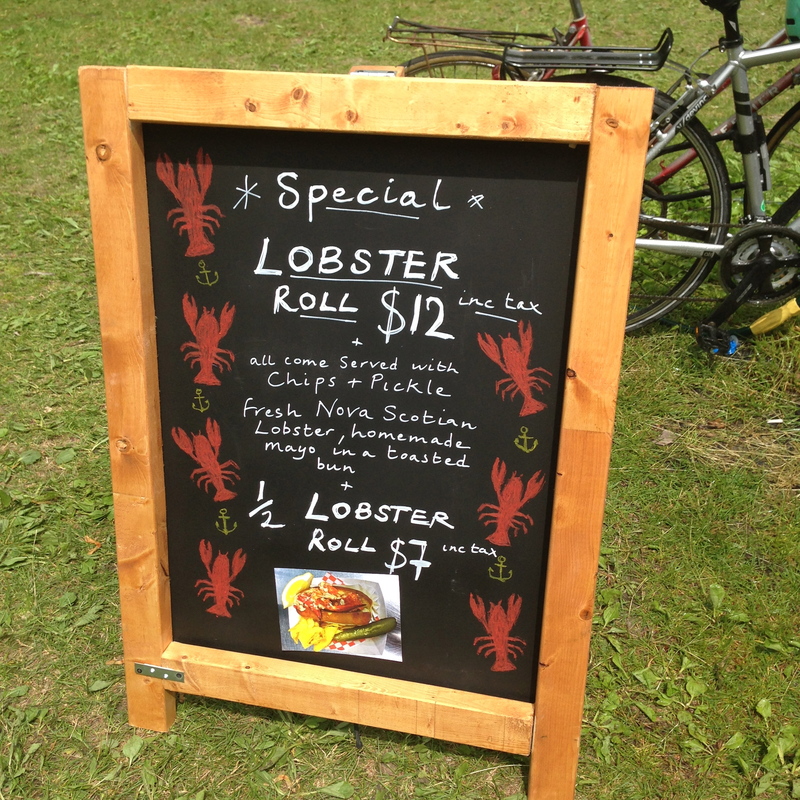 A number of members on the team discovered a booth selling delicious lobster rolls using lobster from the Maritimes. So naturally, I had to go and try it. 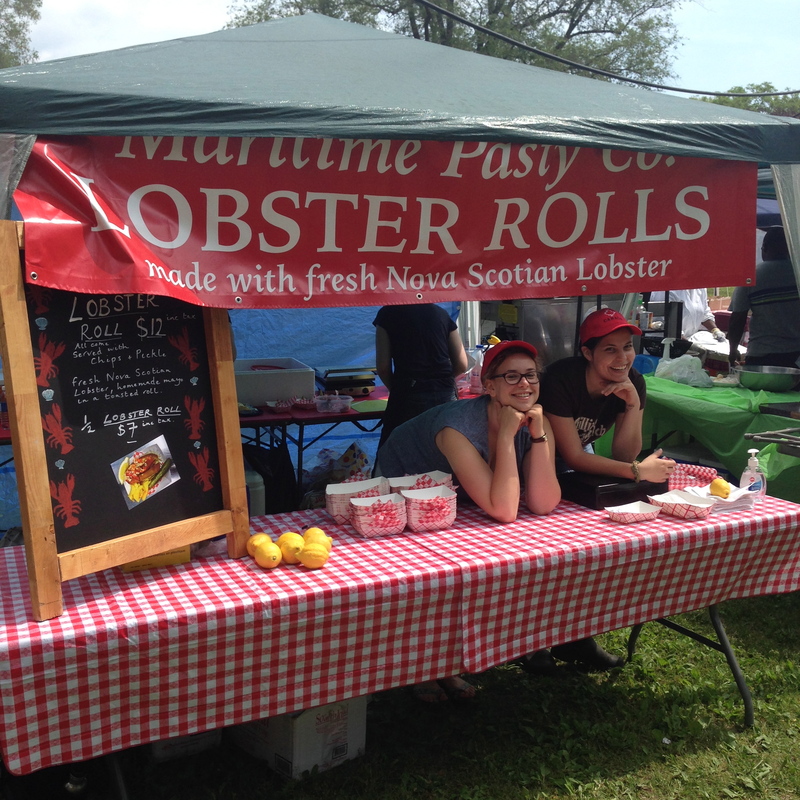 Driving all the way from Halifax with the lobsters, the Maritime Pasty Co.’s lobster roll was really tasty. 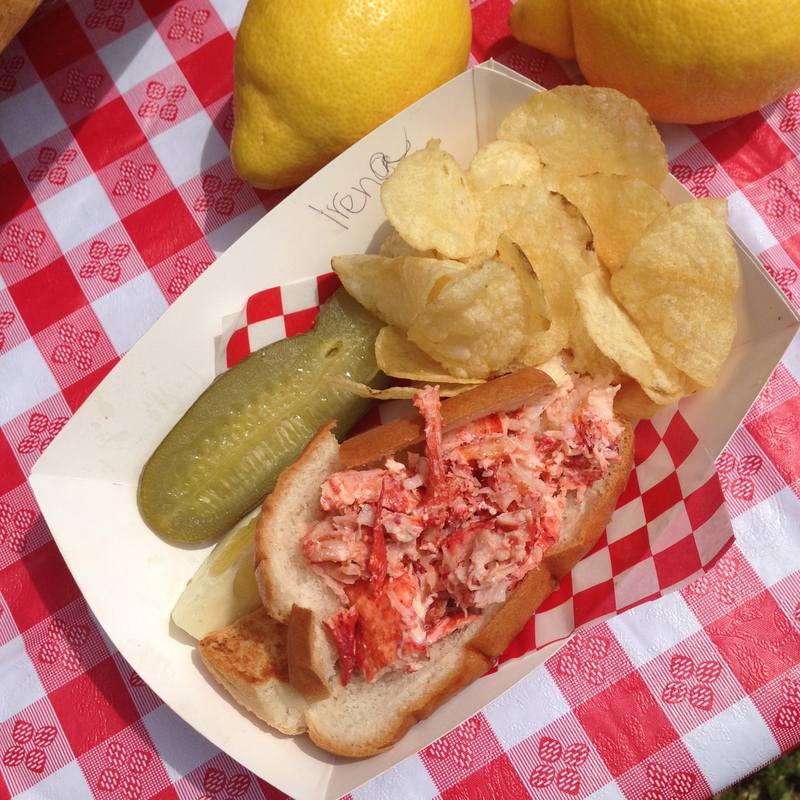 Large chunks of fresh tender lobster simply served on butter toasted hot dog buns, so simple yet so good! 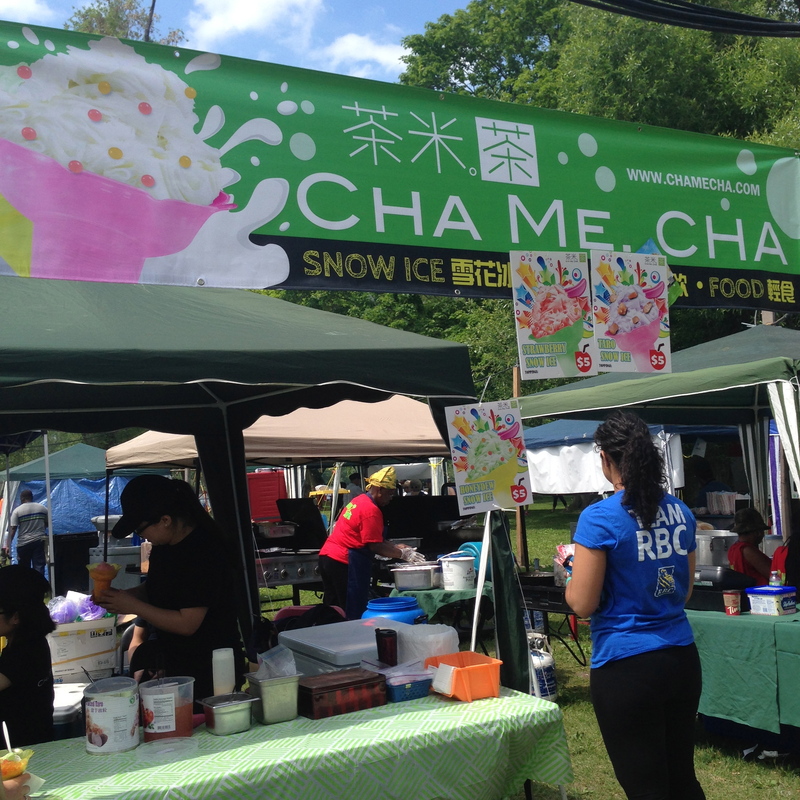 And of course, I had to wash it down with dessert – some snow ice from Cha Me Cha. Growing up one of my favourite Japanese desserts was shaved ice and yes, I even owned a Snoopy hand-cranked shaved ice machine – did I just admit that? Come to think of it, where did I store that machine! 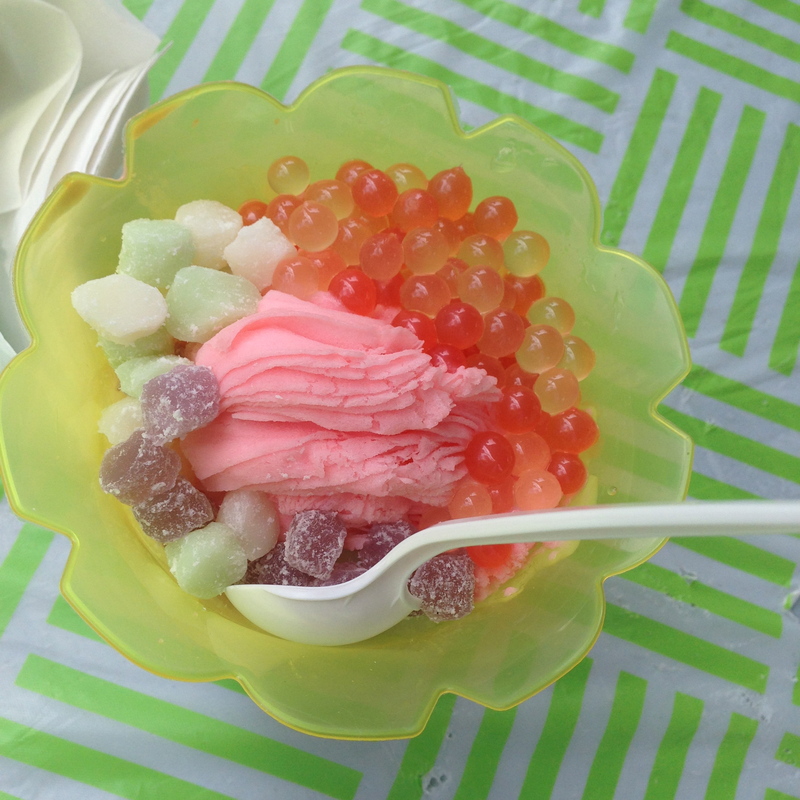 The ones served up by Cha Me Cha are Taiwanese where the ice itself is flavoured (Strawberry, Melon or Taro) and topped with flavoured cubes of soft mochi (sticky sweet rice) and juice filled tapioca. Refreshing and perfect to have on a hot day! 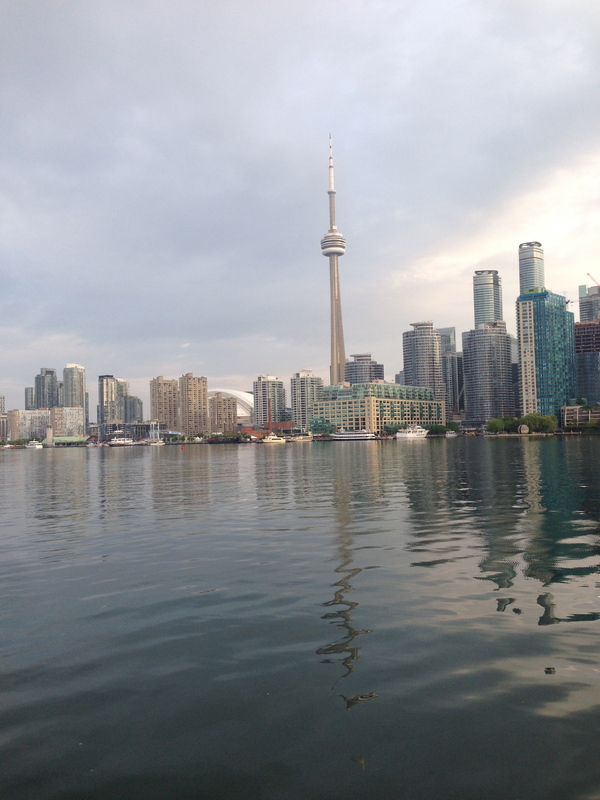 On the ferry heading to Toronto Centre Island. The Maritime Pasty Co. – travelled from Halifax. One of the best lobster rolls I’ve had recently. 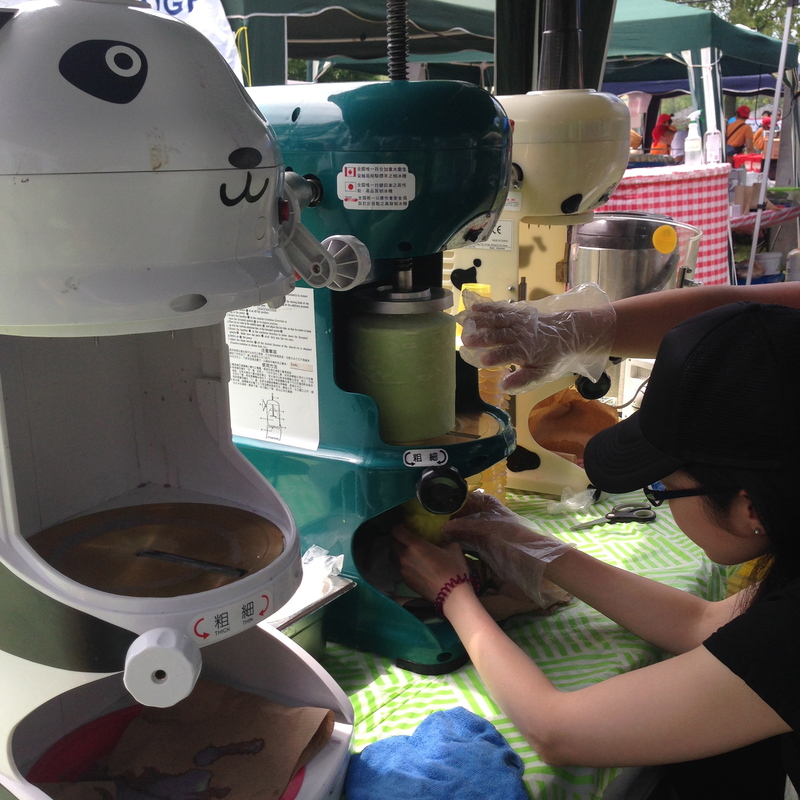 Shaved ice machines – love the panda machine. 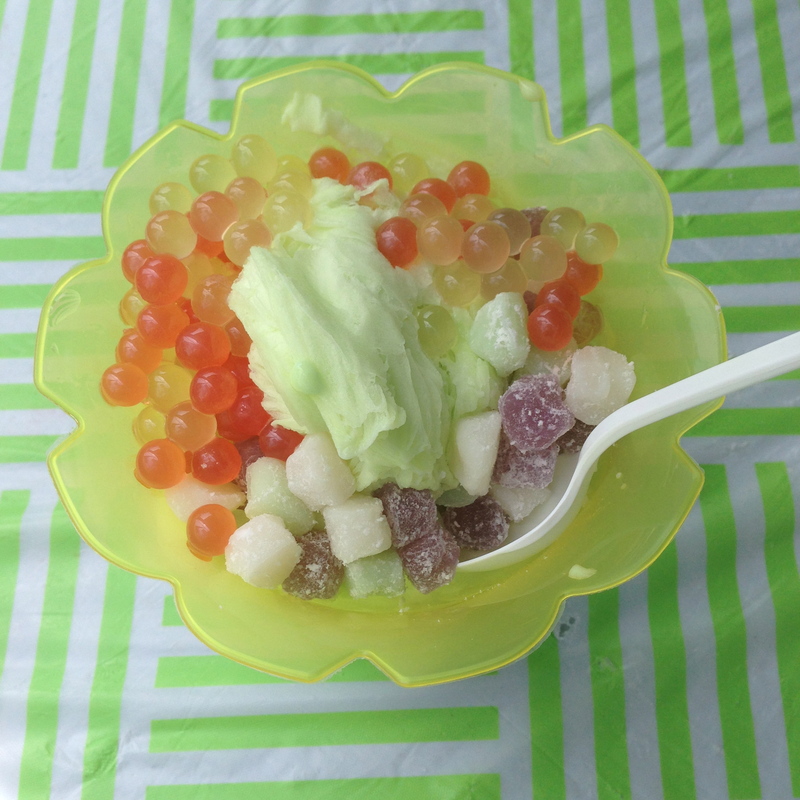 Melon flavoured snow ice with all the fixings. Strawberry snow ice with mochi cubes and tapioca.